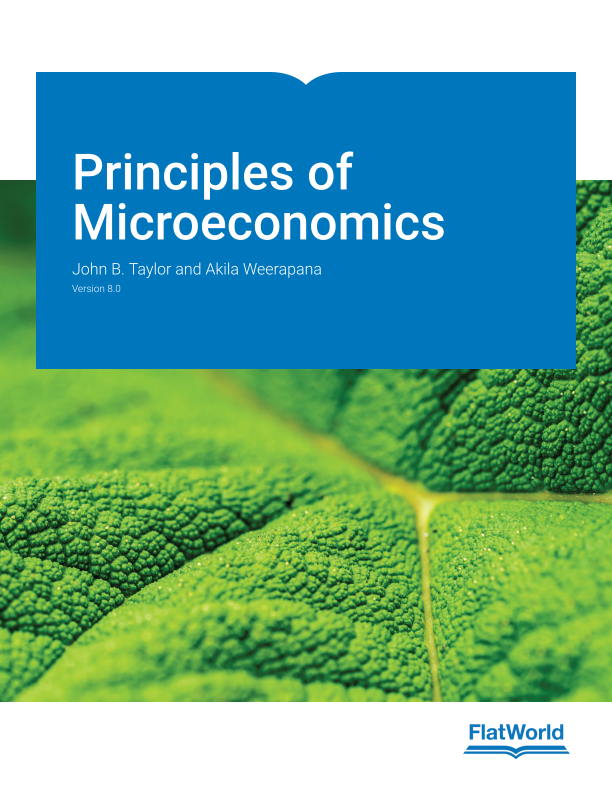 This textbook is suitable for the following courses: both semester-long or quarter-long Introductory Microeconomics and Principles of Microeconomics. This market-leading textbook presents modern economics in a form that’s intuitive, relevant, and memorable to students with no prior exposure to the subject. Taylor and Weerapana have recent and extensive classroom-based experiences, which is seen through their engaging real-world examples. The textbook provides clear explanations of why markets are efficient when the incentives are right and inefficient when the incentives are wrong; and outlines examples of economics choices that students actually face. Version 8.0 gives special attention to key policy questions about the role of the government that are being debated today. Updated data and content bring coverage of microeconomics through 2017. Carefully-selected problems that have been revised and tested for this version. An ample supply of these problems appears at the end of every chapter and appendix. Some will ask the reader to work out examples; others require a more critical thinking approach. Questions for review at the end of every chapter. These questions help test recall and require short answers. They can be used for oral review or as a quick self-check. Brief reviews at the end of each major section that summarize the key points in abbreviated form. They are useful for preliminary skimming as well as for review. Key terms with definitions appear in the margins or are hyperlinked online.